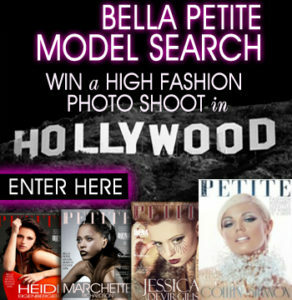 Bella Petite Magazine OCRF Hollywood DJ Event sponsored by the W Hotel. Bella Petite Models give back Colleen Shannon, Ann Lauren, Sundai Love, Chelsie Aryn Miller. Bella Petite Model and World’s Sexiest DJ Colleen Shannon went to lunch with Ann Lauren the editor of Bella Petite Magazine. Colleen shared with Ann why ovarian cancer research was a very personal. Since she was 16 years old and cancerous cells were found during her first routine GYN exam. This was a jarring experience at a young age, but early detection was invaluable, so Colleen wants to make sure that every woman has such an opportunity for early detection. That is when Colleen and Ann decided to help raise awareness for Ovarian Cancer Research. The biggest issue at hand was the fact that Colleen had committed to fly out of the country in ten days to DJ for another event! First things, first, Ann Lauren contacted OCRF corporate and applied for Bella Petite Magazine to be certified and approved to be compliant and the association to promote the charity fundraiser. Next Ann Lauren called on Bella Petite Philantrophy Strategist Maggie Keenan who stepped up and created a formula to promote OCRF on the fly! With everyone on board, we managed to put together a great benefit for OCRF on very short notice (ten days!) and were able to get the OCRF’s message out to over a thousand party-goers! Go to FirstGiving.com and donate 10$ to help Ovarian Cancer research today! Previous Fitness Advice For Petite Women Adjust Your Attitude! Next The Network Talent Change the Industry, Change the World!